Comfortable pillows are essential for a good night’s sleep, and these Jumbo Bamboo Pillows are soft and supportive enough for any type of sleeper. Normally $60 each, you can get a 2-pack today for just $33 with code SAVE15 at checkout. The Jumbo Bamboo Pillows contour easily for maximum comfort, and are ideal for back, stomach, or side sleepers. 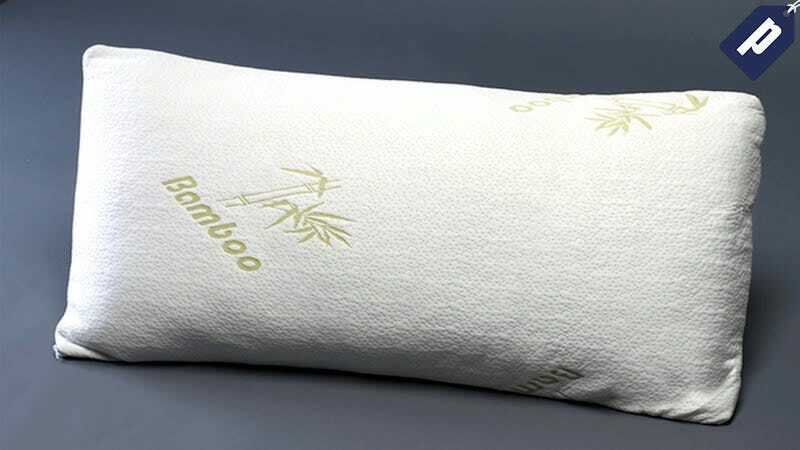 The plush bamboo-rayon cover reduces heat retention to keep your pillow cool, and are machine washable for easy care. Made in Atlanta, Georgia these 20" x 28" pillows meet the highest quality American manufacturing standards. Grab your 2-pack for over 65% off, just $33 with code BUNDLE50 at checkout.